I am so excited to announce that you can now find me live on Facebook and You Tube. If you are too far away to attend, you can see in detail how we made the cards. HOW can I watch you? 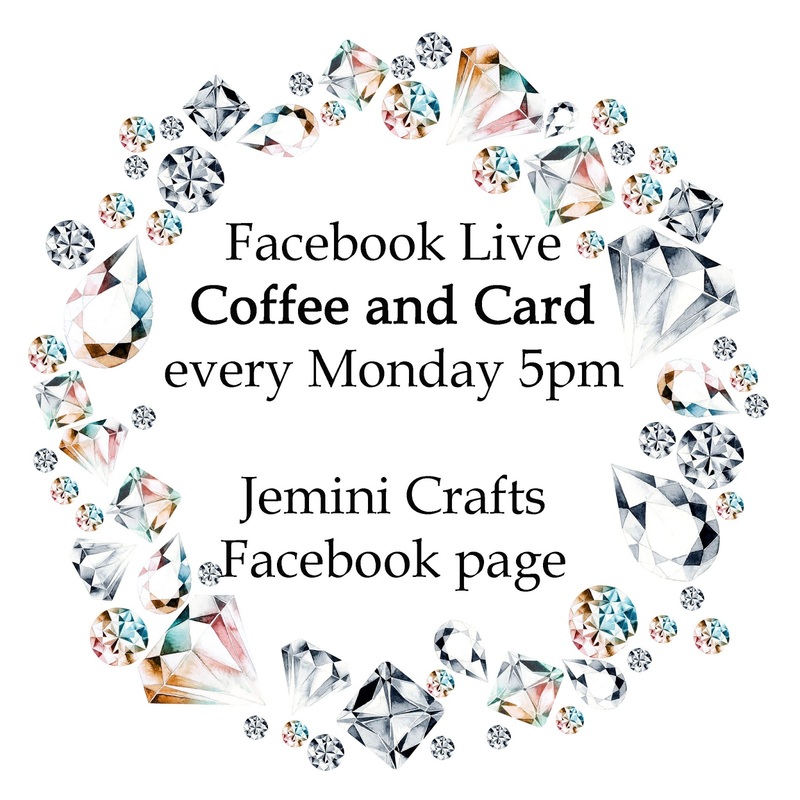 You can catch me on Facebook Live on my Jemini Crafts Facebook page every Monday afternoon (UK) at approx 5pm (GMT). Here you can watch me, comment and interact. you can view previous videos by searching for #coffeeandcard. You can choose to be notified when I am posting LIVE from the Facebook settings. Click on the image to go to my Facebook page now. You can hop to my You Tube channel and see my latest videos there. 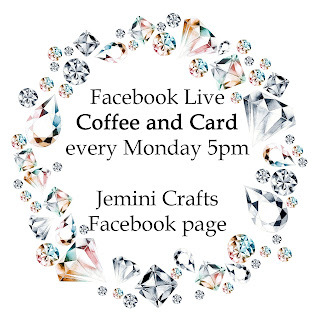 Look for the keywords #coffeeandcard. Feel free to subscribe so you don't miss out on future videos. Click on the image to go to my You Tube channel now. I would love any feedback from you regarding my new channel.